More than 30 years of experience in the financial industry has brought her valuable knowledge of personal finance as well as a great understanding of budget and cash flow. 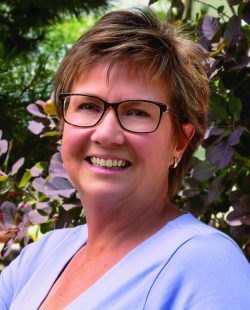 Since 2009, she has been involved in the community as a committee member of the Downtown Revitalization Project, and an active member of the Mead Rotary Club, serving as President in 2014-15. She is also privileged to have an appointed seat on the Mead Town Board and then elected to the Board in 2016, working for the best interests of the community. She gets the most satisfaction from helping people realize their dream of home ownership, while finding the best loan program for their individual financial needs. What I appreciated most about Terri was her honesty. She didn’t just try to sell us a loan, she really walked us through what would be best for our financial situation and wanted to be sure we could sustain our lifestyle with our new mortgage amount. We also really liked how easy it was to send our information, and the informational videos that were sent throughout the process were really great. I was shocked and totally grateful that Terri was at closing. I’ve never had a lender attend the closing with me. That was really awesome. Terri was quick, professional and willing to work with us to achieve no less than our dreams. We will definitely be using her services again should the need arise. Terri was very quick with our paperwork, and very open about any items that needed clarification for the process to move forward. Terri was awesome! She is experienced with the CHFA grant. This was a game changer. The process was smooth and closing went without a hitch, I would definitely recommend Terri to my friends and family. Terri was very helpful throughout the loan process. All our questions were answered in a timely manner. Each step of the process was communicated clearly, both actions required of us and general status updates. Electronic signing of documents along the way was easy and secure. Closing was a breeze, and the stack of papers to sign wasn’t actually too big! Overall great experience. Terri was very helpful in overcoming some unfortunate obstacles that were not her fault. I can’t believe how easy this entire process was to purchase a house. Thanks to the entire team for helping us start the next chapter in our life.